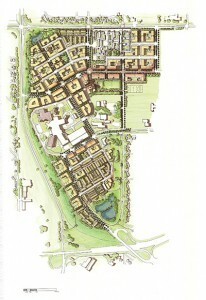 The West Campus Master Plan aims to create a sustainable, complete and vibrant community. Join us on June 12, 11 a.m. to 2 p.m. at MacEwan Centre, to see the next version of the plan. The process of updating the Master Plan for West Campus has been in motion for over a year. The plan aims to create a vibrant community with a strong sense of place that reflects and contributes to enhanced university life. The West Campus Development Trust is ready to share the next version of the updated plan in its next series of public events. The on-campus event is scheduled for Wednesday, June 12 from 11 a.m. to 2 p.m. in MacEwan Centre North Courtyard. Please join us to preview the updated Master Plan and find out whatÃ¢â‚¬â„¢s next in the planning process! Visit www.wcdt.ca for details or to register for updates. West Campus Development Trust thanks you for your continued support and participation. It was mentioned at the community meeting that there was a draw for those signing up for the on-line newsletter. How about a draw for new and existing members. This could be announced in the next newsletter.